Dubai: Popular Cities in U.A.E. Originally a small fishing and trading settlement, Dubai is today an exciting, cosmopolitan center and a global hub for trade and finance where Arab Islamic traditions and ultra-modern culture harmonize with each other. Measured on the surface, it is the second-largest emirate to Abu Dhabi. It is governed by S.H. Crown Prince Sheikh Mohammed Bin Rashid Al Maktoum, Vice President and Prime Minister of the UAE. In 1833 under the leadership of the Maktoum family about 800 members of the Bani Yas tribe settled at the mouth of the Dubai Creeks. The Creek was a natural harbor and soon Dubai became the center for fishing, pearl fishing, and maritime trade. Around the turn of the century from the 19th to the 20th century, Dubai was already a successful port. The Souk of Deira on the north side of the river Creeks was the largest on the coast with 350 stores and enjoyed a steady influx of visitors and businessmen. In the thirties of the 19th century, the population of Dubai was about 20,000 inhabitants, about a quarter of whom were immigrants. In the fifties of the last century, the Creek began to slump, presumably because of the increasing number of ships that used the Creek. The then ruler of Dubai, Sheikh Rashid bin Saeed Al Maktoum, decided to expand the watercourse. It was an ambitious, cost-intensive and visionary project. This decision resulted in an increase in the turnover of goods in Dubai and ultimately strengthened the position of Dubai as a major trading hub for trade and export. The discovery of oil in 1966 implied a change in Dubai's lifestyle. The first Ölexporten was followed by a phase of rapid development that laid the foundations for the modern society of today. 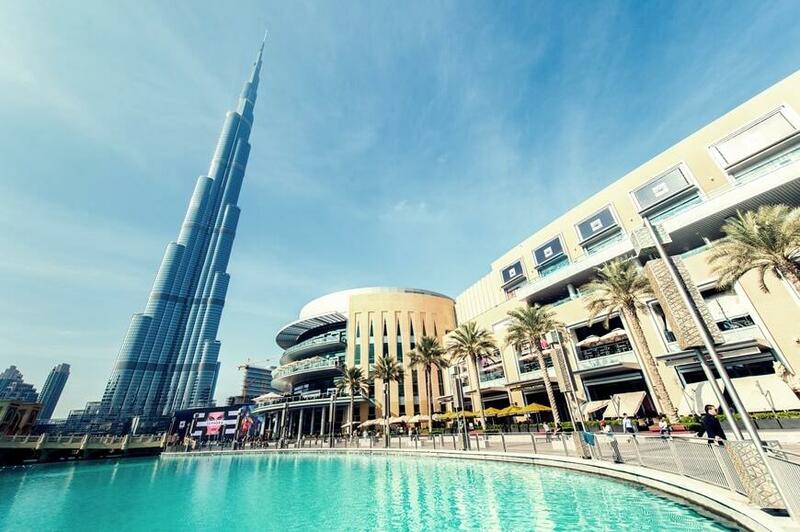 In the eighties and early nineties of the last century, Dubai made the strategic decision to emerge as a major tourist destination of international standing. Over the years, investments have been made in the tourism infrastructure, which has already paid off. Dubai's economy is no longer dependent on oil but is broadly based on trade, services, and the financial sector. 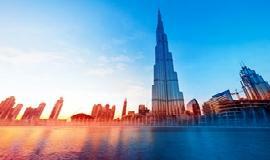 In the last decade, there has been changing and growing in all sectors of Dubai's economy. Dubai's government is constantly working to improve commercial transparency and to introduce dynamic regulations that favor the creation of small and medium-sized businesses and are capable of responding flexibly to global financial challenges. 365 sunny days a year, beautiful beaches, luxury hotels, a fascinating cultural heritage and a prosperous business community Every year, Dubai receives millions of tourists and businessmen from all over the world and sets new standards with its countless shopping malls as a shopping destination. Today, Dubai is a city that boasts of its world class hotels, unique architecture, varied entertainment and exclusive sports events. The Burj Al Arab Hotel is located on the Jumeirah Beach and is the only 7-star hotel in the world. The Emirates Towers and Burj Khalifa are among the architectural highlights that testify to the economic self-confidence of the emirate. Although Dubai is a very young tourist destination, it has a fascinating history. The Dubai Museum at Al Fahidi Fort, one of the oldest buildings in Dubai, built in 1787, is a fascinating history of Dubai. In the sports field, Dubai is the venue for a large number of significant major events. 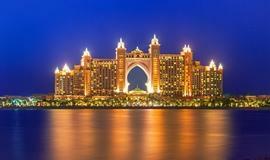 The world-class Dubai Sports Classic Tournament, the ATP-sponsored Dubai Duty-Free Tennis Championships, the Dubai Sevens, the Emirates Grand Prix, the UAE Desert Challenge and the Dubai World Cup, the world's most highly rated horse racing , Will find a first-class battleground in Dubai. 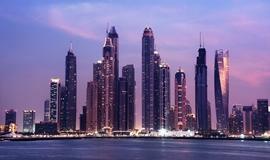 The overwhelming architecture of the city is particularly evident in Dubai Marina. 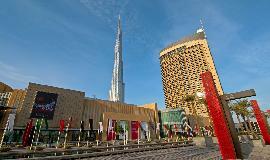 In this district are some of the latest and most fascinating buildings and attractions in Dubai. Here visitors can relax right on the water in pure comfort and luxury. Dubai Mall - biggest world's shopping Mall with more than 1200 shops.